Still looking for the right gift for the special people in your life? As your “to-buy” list grows each year, sometimes you have to think outside the box. It’s important to give meaningful, yet useful gifts. If you’re like me, practical is often the way to go. 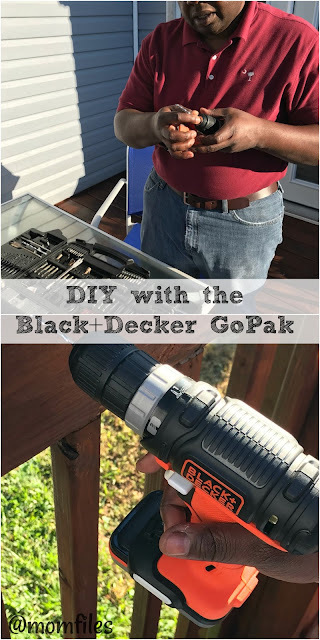 Black + Decker’s GoPak 4-Tool Combo Kit contains all the tools needed for small DIY projects around the house or fun projects with wood. You can't get more practical than tools! 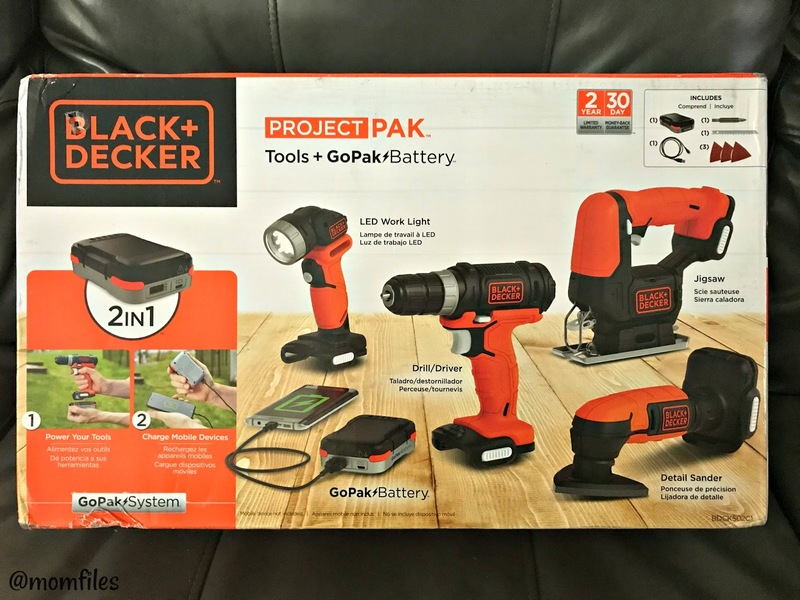 This cordless tool set contains a drill/driver, detail sander, jigsaw, LED work light and GoPak battery to charge all of your tools. You can even charge mobile devices, so if you’re working outside and need to charge up your phone, this is perfect. While these cordless tools are not made for professional projects, they have just enough power to tackle those small tasks or DIY projects effectively. My husband was thrilled to receive this GoPak. The timing couldn’t be more perfect! We’ve been doing some work on our back deck, and he was able to do the finishing touches with these tools. He used the sander to smooth out the handrails and the drill to install new solar lights so we can see at night. The sander was his favorite tool. Because it’s not as loud as an electric sander, our dog didn’t go ballistic when he heard it. 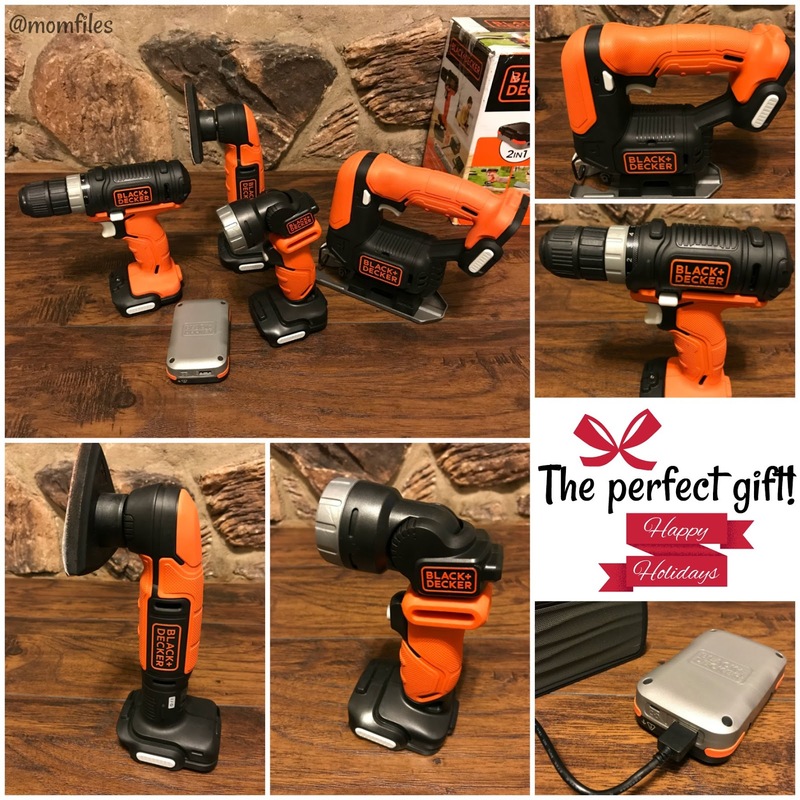 The best part is that all of these tools are cordless, so no more dragging around those heavy extension cords. He plans to purchase an additional battery pack so that he always has an extra charged and ready to go. This means my 'honey-do' list will be growing every weekend. The GoPak is ideal for the crafter in your life. Those who love doing small projects with wood will make good use of it. Whether it’s making wall art, or a side table made from a pallet, the possibilities are endless. As a matter of fact, this set is excellent for new homeowners, or as a housewarming gift for a first apartment. Where to buy: Lowes, Walmart, and Amazon. The regular price is $99, but is currently available at a reduced price of only $79+ tax. Not a bad deal for this 4-piece cordless tool set. Black + Decker has been a trusted brand in our household for many years. We are very pleased with our GoPak kit, and look forward to many years of use. For more information about the Black+Decker GoPak 4-Tool Combo Kit, visit their website, and be sure to follow on their social accounts (Facebook, IG, & Twitter) for product updates and promotions.